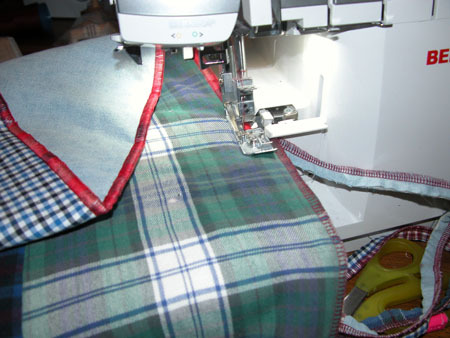 I’ve always wanted a scrappy plaid quilt, I have a bunch of old plaid shirts, and I’ve been spending lots of time with my overlockers/sergers lately (of course I have more than one! ), so…. 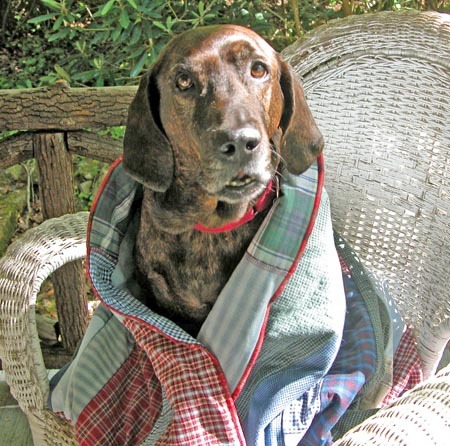 I deconstructed a basketful of plaid shirts – augmented by some plaid pajama pants from my local thrift store and a couple of solid chambray shirts for contrast – and made this cozy, dog-approved, Reversible Scrappy Plaid Quilt. 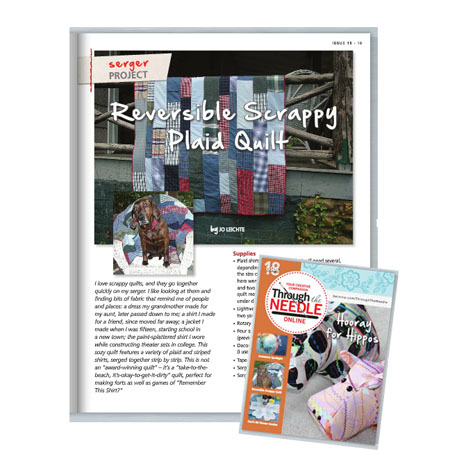 Instructions for my quilt are in the newest issue of BERNINA’s free online magazine, Through the Needle ONLINE, Issue 18, pages 19-21. While I used an overlocker/serger to construct this quilt, it could also be made with a regular sewing machine; there’s just be more trimming involved, so rotary cutting equipment would be very helpful. This would be a fabulous stash-buster quilt. I have a collection of winter/snow and holiday/Christmas prints that would make a pretty quilt – blues and whites on one side, reds and greens on the other. This turned out great Jo! It looks cozy for those cool fall nights, but also would be a great light weight blanket to pack a picnic with while it’s still hot out! This would be a terrific “manly” gift, too. It would also be good for tossing in the car. Thanks for the inspiration!